The digital transformation of government is one of my key priorities as Head of the Civil Service, and one of the three priorities the Civil Service Board has agreed for this Parliament. Since launching the transformation programme, we have made excellent progress, delivering a range of world-class digital services used by millions of people. Britain is now undoubtedly the world leader in digital government. But this is only the start. Over the coming years we have an ambitious plan to speed up digital transformation in the whole of the Civil Service, driven by a dynamic and collaborative approach by digital technology and data leaders across government, and supported by the Government Digital Service (GDS). Our strategy of prioritising digital transformation was given a ringing endorsement by the Chancellor’s announcement in the Spending Review and Autumn Statement. In short, there will be a massive investment in digital for the duration of this Parliament. In terms of cold, hard numbers, we are going to see £1.8 billion invested in digital transformation, and a further £450 million specifically for GDS - a vote of confidence in the hard work that’s gone into making the UK the global leader in digital government. Translating those figures into practice, the Chancellor’s support means that departments have the resources to transform their business operations for a digital age, while GDS continues to support them as the government’s centre of digital, technology and data. This demonstrates a continuing commitment to building world-class digital services for the public. Central to this is the Common Technology Services (CTS) programme, which makes flexible and modern technology available to the entire Civil Service. This follows the success of the Cabinet Office Technology Transformation programme, which gave thousands of civil servants in DCMS and the Cabinet Office modern and fast technology – technology at least as good as they already had at home. The CTS programme will work with departments to deliver new, flexible, common technology that enables more joined-up and collaborative working across government, all at much lower cost to the taxpayer. The money from the Spending Review will also allow GDS and departments to continue to develop Government as a Platform (GaaP). GaaP will give departments access to shared digital technology and processes, allowing them to focus on exactly what their service needs to do, and not worry about procuring a whole stack of stuff alongside it. For example, GOV.UK Pay will make it easier to build services that include a payment component, and simplify the way citizens pay government. 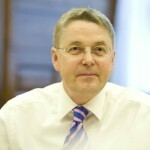 Many departments will begin adopting GOV.UK Pay next year; including for Passports (Home Office) and Make a Plea (MoJ). Other departments will begin to use GOV.UK Notify, which allows service users to track progress without the need for lengthy wait times in call-centre queues, with all the costs that incurs to government. Jobseeker’s Allowance (DWP) and Student Finance applications (BIS) are planning to adopt GOV.UK Notify from 2016 onwards. 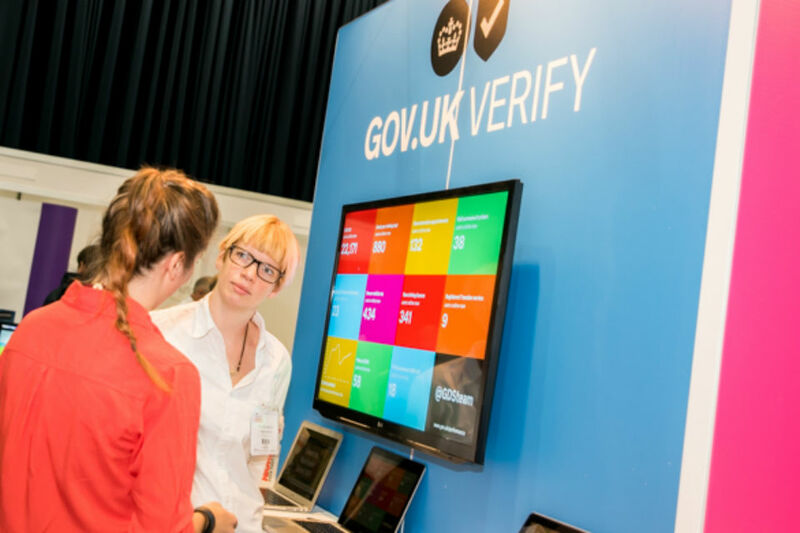 GOV.UK Verify is another common platform at the heart of the digital transformation of government. It is a new way for people to prove their identity online when using government services, and delivered in a new way. GOV.UK Verify works with certified companies, who check and confirm someone's identity before they use a government service. This happens completely online - the first time this has been possible. And it’s fast. It takes about 10 minutes the first time you use it, and less than two minutes each time after. Previously, you had to wait for something by post, or go somewhere in person. GOV.UK Verify is straightforward to use, because it needs to be. But behind this simplicity, it is one of the most technologically sophisticated examples of digital transformation by any government. GOV.UK Verify is a key step forward in cracking down on fraud, ensuring that no one can pretend to be you. But if digital government is to work, we also need to keep the confidence of British citizens in government’s ability to keep their data safe, something even the world’s best technology companies struggle with. That is why we are working hard to make sure we are doing everything necessary to prevent breaches and keep the data we hold secure. And it’s why the Chancellor of the Exchequer announced in a recent speech that we would be taking a more aggressive approach to defending the Government’s own networks. If you haven’t yet read the speech, it is definitely worth it. It sets out a really positive and ambitious agenda for building the next generation of cyber security for the UK. On the basis of an almost doubled level of investment (to £1.9 billion), it explains how – led by GCHQ – we will more actively defend British cyberspace; build up Britain’s cyber skills; and grow an ecosystem of British cyber companies. Together, this programme will make Britain one of the safest places in the world to do business online. I am enormously proud of the cutting-edge digital work the Civil Service is undertaking and how it is improving the user experience of government services. Digital transformation is central to our vision of a more efficient, more innovative Civil Service, working in new ways to deliver new services. I have no doubt that it will continue to bring significant benefits over the next five years and beyond. ....and of course in turn this will mean much less staffing levels required and so hence, the to be fully announced, VES restructring to make it much cheaper get rid of staff. Contrary to what the article says, I and others I know have found Verify anything but straightforward to use - it took me about 40 minutes to get through it a few weeks ago. At one point it said it couldn't verify my identity because I didn't have the necessary supporting documentation, when the guidance on the website clearly said that I did! I persevered and got through despite the negative message, but I wonder if the public will be as willing to do so. Verify is far from simple. I have been Verified and now de-verified because the system would not let me change my password. I appreciate the need for robust security however it certainly is not straightforward and is extremely infuriating - especially so if you are a customer with no photo ID. Until Verify is more straightforward and user friendly there is no prospect of any digital by default. It is obvious that Sir Jeremy has not tried Verify, or was extremely lucky. I can say for 100% certainty, it takes more than 10 minutes the first time, assuming you can even get verified. I had to go through the process twice to get verified, all because Experian can't understand that loan statements only get produced Annually, so I cannot tell them what the balance of a loan was in a particular month. The process is a good idea, but 3 things make it difficult for some people. Not everyone has a passport, driving licence or credit card. I have the first two but not the last, but luckily managed to use a debit card which was accepted instead. If Verify is to succeed, it will need to accommodate those that do not have all or any of these items. They will decimate civil service staff numbers and reduce the survivors terms and conditions to garbage, whilst investing the £1.5 billion + of public money. Then they will sell off most of the areas they have invested in to the private sectror (Land Registry) for a knock down price (Royal Mail). Win win for the Government and their increasingly rich donors!!!!! Does this mean that I will have a computer that can keep up with the speed I want and need to work at? Does it also mean I will no longer see messages like 'Excel is not responding'? Does it mean I will now longer see a message telling me the network is running slow/busy? GOV.UK Verify sounded like a good idea right up to the point where I discoverd I'm not covered. Established Civil Servant since 1978 but no passport as I don't travel abroad and I last changed my driving licencse in 1990 so no photocard. I can understand the drive to digital, it should reduce the staffing required, but reliance on one type of processing does leave the system vulnerable. Also with recent hacking issues and system failures I do wonder if the public purse is being properly used with an almost totally digital system!!! Can we please stop refering to 'digital' as a thing - for example in the title of this article "Digital in the Spending Review"? It is not a noun; it is an adjective. It's fine to use it to describe something such as digital technology or digital transformation but it does not make sense to use it as a noun. • Digitalisation will enable home working. I work from home 2 days a week because I can and I’m using it as rehearsal for being a single person soon to be retired and with no more workplace community to be part of. The experience is interesting. Initially, it was great: I saved 2hrs commuting and could intersperse domestic tasks with work. But the distinction between work time and ‘my life’ time soon blurred. And some days I see no-one all day as it easy to become socially withdrawn. Also of course, I’m increasingly forgotten by others. I’m convinced that widespread home working as an HR strategy needs to be approached with great caution. But it won’t be, because saving £s in the short term is what government is hooked on. • Digitalisation for delivering public services. Great if you’re digitally savvy but excluding in effect if you’re not. And is it always appropriate. For example, will an online self-help app be able to help people with depression, the long term unemployed etc. in the way that outreach initiatives do? It feels a bit like imagining that someone who wishes to drown will make use of a lifesaver ring. • Did digitalisation help the community in flooded Cumbria. Well it may have enabled more rapid and efficient co-ordination of resources but in the end it was community spirit, and people, and what they did for the unfortunate, that mattered and that caught the public imagination. The contortions of a spokesperson for the under resourced Environment Agency caught on TV news were astonishing to behold, as they tried to turn their absence into a shining example of how the role of the EA was to help the community to help themselves. Pah! So please, don’t try and blow sunshine around over digitalisation. We all know what it can do, and the risks it presents to the social fabric. And the risks, as with under-spend on flood defences, are never greater than when it is being pursued by those desperate to cut costs. A very grand statement spending £1.5 Billion "going digital" but in reality we are still on Windows XP and Office 2003 the long awaited upgrade looks further away so we continue paying MS millions to keep us going. Is this digital revolution going on the back of DII & will it be just as poor? The one fix fits all approach of DII doesn't work for personnel who have specific equipment & software requirements to enable them to carry out their core tasks. I have equipment / software which is not allowed on DII and have to encrypt everything from the DII network to be used on a standalone PC. This is an area which needs to be looked at if this digital revolution is to succeed. Whoever is signing off contracts for how we work digitally in the future needs to do a better job than people in the past who have been incompetent when it comes down to contractual awareness. If not they need to be sacked because we would be if we failed in our work tasks. After reading the comments above, I too would not be eligible as I have a paper driving license and not a photocard. I completely agree with the Verify comments, it is an apalling system to use & almost impossible to register even with masses of required documents. Having tried several times to register for Marriage Allowance & then the State Pension site I failed both times after many unhappy hours ONLY because I don't have a photocard driving licence (I don't need one so I don't have one), which is not explained up front. I tried every identity combination & used sites that said up front that a photo driving licence wasn't required, worked through them & right at the end each one gave a message saying you cannot register without a photocard licence! To make matters worse it then took 6 hours of attempted & frustrating phone calls to HMRC to register for marriage allowance. Bearing in mind I have everything but a photo licence, I can see how difficult it will be for the general population, who may have far less identity documents to use Verify simply & safely. If you have neither a current passport nor a photo driving licence Verify is impossible rather than easy. If you've not had sufficient electronic transactiosns to build up a footprint with Experian it is less than easy and if you do not have access to your mortgage statement electronically it is tricky. Has any government large scale IT project ever gone ahead on time and on budget and actually worked as intended? The idea that this will or is even about improving services is farcical. No thought is being given to those that can't, don't or won't use IT services. Based on previous IT "upgrades" the support offered will be non-existent. Staffing will be cut ahead of the changes to pay for them with staffing levels decided by those that have no real idea of the level of support such changes need. The staff remaining will face ever more attacks on their terms and conditions with a 5 year pay freeze to boot. But don't worry - this is a positive endorsement of the civil service, this time it will all go right and I'm a pink elephant. Sorry Sir Jeremy, but you are imitating the ostrich. A touch of realism regarding "digital" would be welcome.
" Twenty-one major IT-based government projects have been rated as red or red/amber status to indicate urgent action or reassessment is needed, according to the Cabinet Office Major Projects Authority (MPA). How can you justify your optimism when a department that reports to you expresses a diametrically opposed opinion? It's about time the upper reaches of the CS started acknowledging that not everything in the garden is rosy. "Britain is now undoubtedly the world leader in digital government". 1) What does this even mean? 2) Is there any proof to back up this claim? I wonder if this will be the same kind of technology that the CMS has seen with their 'new' 2012 system which was in turn based off of a system that was used for over 5 years for managing staff (RM) which received nothing but complaints about how long it took to do anything so the Government decided to have it adapted for the entire CMS. Basic things take longer than the 20 year old system I used to use at the Jobcentre. One point managers used to complain about RM was that it timed you out after 60 minutes which was very frustrating if doing e-learning or indepth staff action. The 60 minute timeout is now a 'feature' of the 2012 system - A feature that has no basis or usefulness in the system, just hinderance. I wonder whose pockets got lined with all the money saved on the 2012 system.